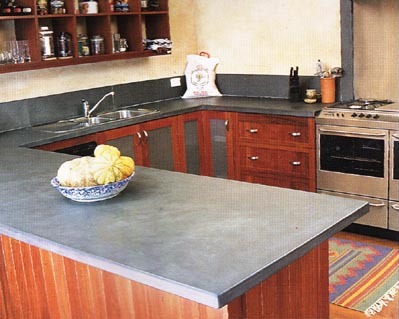 Mintaro Slate is a functional traditional material for bench or table tops, whether the building style is rustic with natural timber or clean and modern. 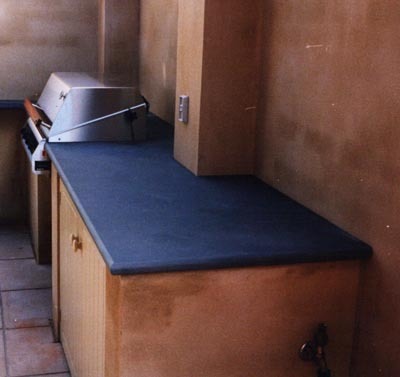 Large area of quarried slabs allow minimum jointing. Various thickness and edge profiles. Natural texture, good background colour to highlight other kitchen colours. Sawn to dimensions provided. Many kitchens are out of square, therefore to ensure adequate fit it may in some cases be advisable to provide templates. Split Face Mintaro, though occasionally ordered with machine ground surface (easier to wipe over, but loss of visual character). 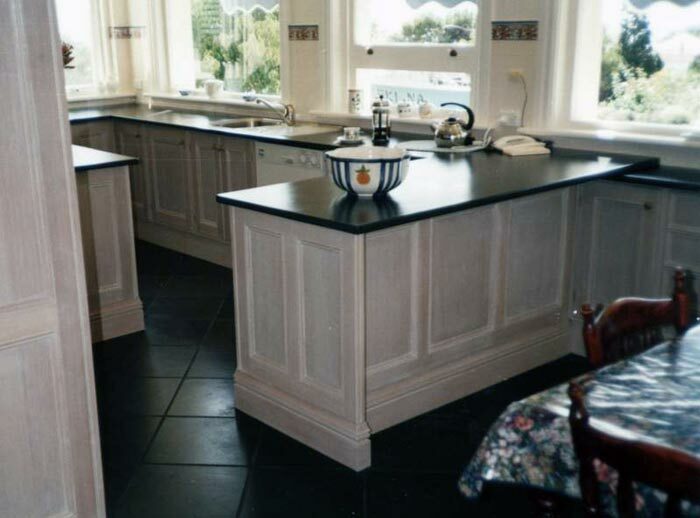 Note that slate may discolour with kitchen splash or oil spillage and some customers therefore oil or seal the surface after installation.